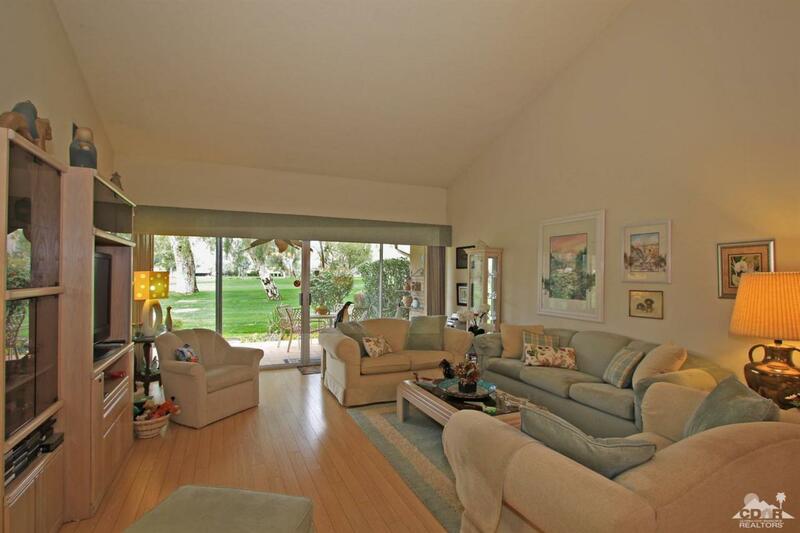 Desirable single level, 3-bedroom, 2 bath condo with West facing patio offering million-dollar golf course and mountain views. Casual comfort with neutral tones, wood shutters and blinds, cathedral ceilings and a smart floor plan that offers function and style. Updated kitchen with granite transformation countertops and glass tile backsplash, added microwave and recessed lighting. Upgraded with pergo flooring, solar tube skylights, wood shutters, blinds and ceiling fans and updated guest bathroom. 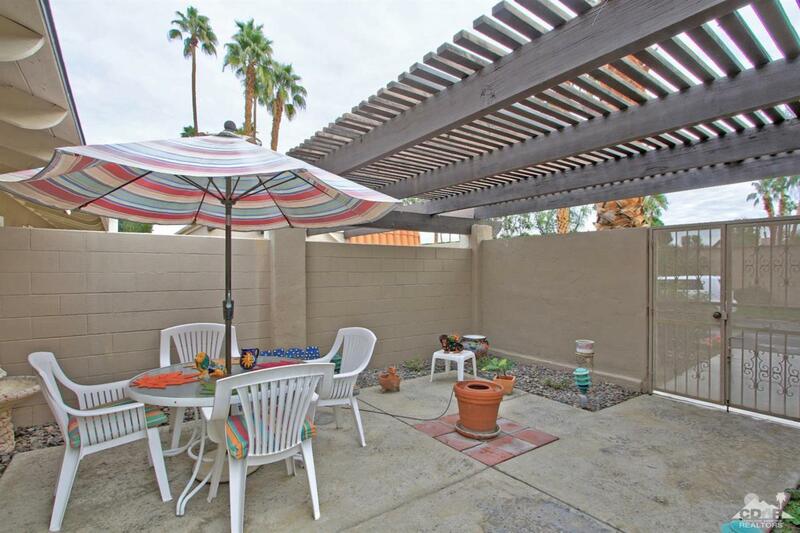 Sunny, private entry courtyard and two car garage with added laundry sink and many storage cabinets. 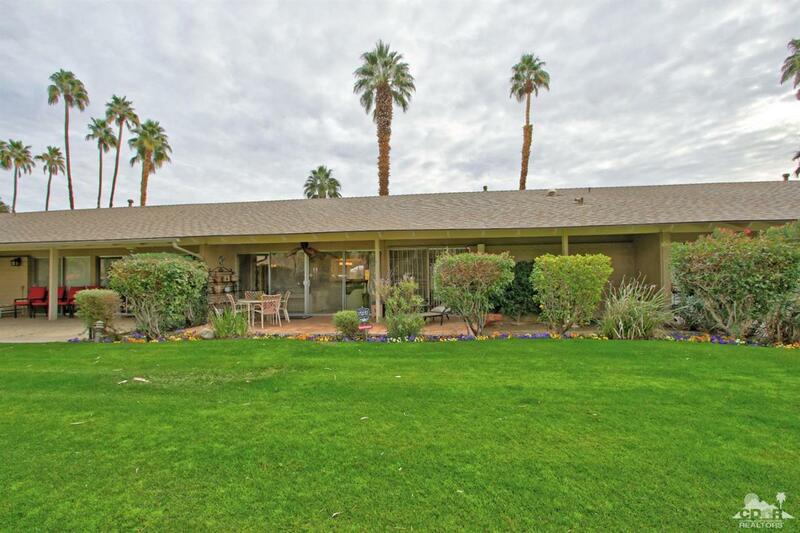 Located nearby the legendary La Quinta Resort and Club and not far from Old Town La Quinta with its quaint shops and restaurants. 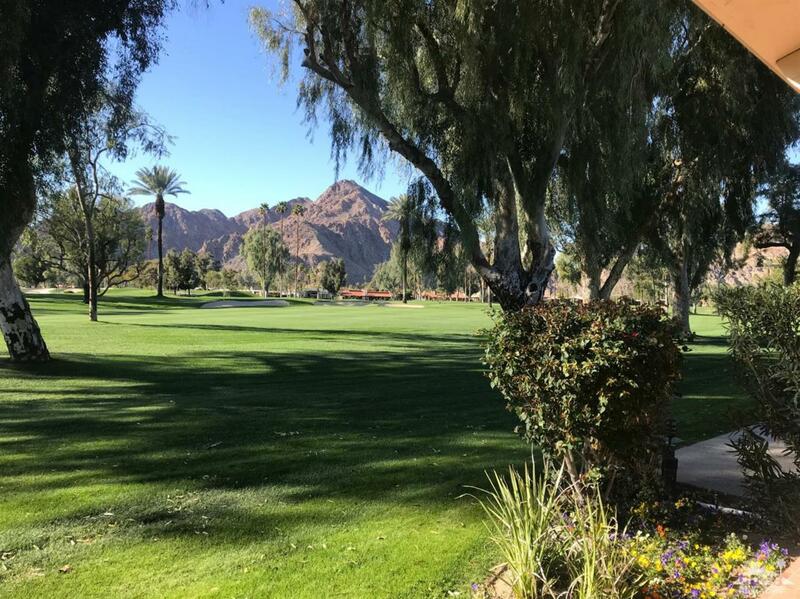 The golf course view is of the La Quinta Country Club course, former host to the Bob Hope Classic. Offered turnkey furnished. Cross Street Address Eisenhower Dr.